For each of the past four years my school has been tasked with presenting a drug prevention lesson. Our community, though not necessarily our school, has been faced with a disproportionate amount of overdoses from heroin. And while very few students ever start down the path towards addiction, even one student being introduced to the drug because of a lack of education is one too many. In previous years a coalition of counselors, deans, social workers, school resource officers and teachers have come together to present an informational session to our student body. Each team member spoke to drug prevention from their perspective and the consequences it can have on a specific area of life: academics, discipline, social-emotional and family. The presentations were certainly informational and at times engaging, but did they leave a lasting impact? Did they really get the students talking about their decisions? This year our team decided to take a different approach. We didn’t present a single thing and I couldn’t be happier with the results. You see this year we didn’t want a one off presentation, we wanted to start a conversation that would continue beyond a single period. We knew from past experience that students are sometimes reluctant to jump into controversial topics with adults, but they are more than ready to have those discussions with peers. So we allowed those peer to peer conversations to take place within a safe and structured environment. 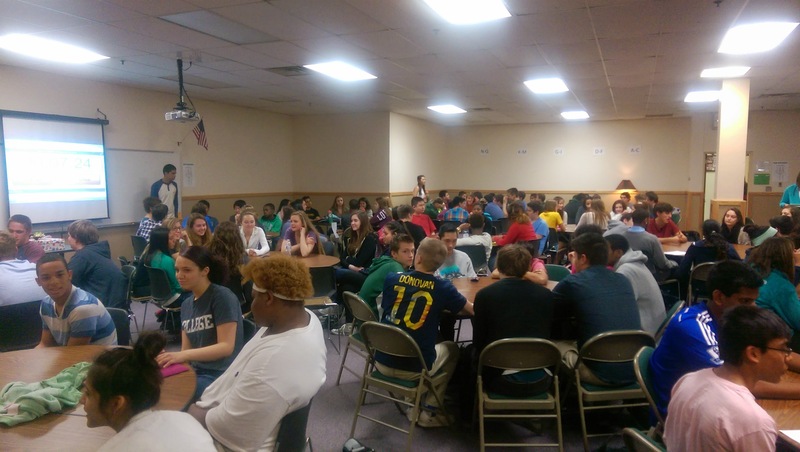 Nearly two dozen junior and senior students were selected to be part of our Healthy Choices conversations. This were students from all walks of life, who had one thing in common; a commitment to staying drug free and weren’t afraid to let others know it. Over the course of three months, the students met bi-weekly to plan and prepare for their conversations that would take place with our sophomore PE/Healthy classes in April. The students selected which videos to show, what questions to ask, practiced leading a small group, and worked on their public speaking confidence level. All along the way the staff team was there to support and provide administrative support, but by in large the presentation and lesson were student derived. The lesson wasn’t perfect but it was empowering. 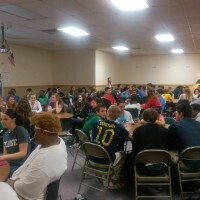 Sophomore students were empowered with the vital information needed to make positive choices and the upperclassmen were empowered to be leaders and role models for the younger students. As educators I believe we have a responsibility not only to inform and educate our students but to empower them as well. This lesson was just as much for our upperclassmen leaders as it was for the sophomores. They were able to take information that they had previously learned and prove that they really learned it by teaching it to the next group of students. Regardless of content area, this is a practice we should strive for in our classrooms. Student lead presentations and lessons allow student to move beyond sit and get. They are no longer simply regurgitating information that we have shared with them but they are making the content and understanding their own. I am excited to look for opportunities to continue this practice next year and find even more lessons where this type of peer lead instruction is appropriate too.